A good starting point for beginner turners. Safety First: Get into safe habits. When trying new techniques start on soft woods and small pieces. Wear (eye protection at the least) a face shield, and even a dust shield when sanding. Do not have loose clothing near turning spindles it can very easily get caught and pulled in. Do not wear gloves you need to be able to feel the tools and the wood. When you have some experience and begin to work on larger pieces you may wish to wear a glove to dampen any vibration or bounce from the tool to the hand. Turn the lathe by hand before turning on the power to check for possible contact points between the work and the lathe. Stand aside when first turning on the lathe - just in case you forgot to tighten something or a piece that did not appear loose turns out to be. If the piece comes off the lathe it generally shoots backwards or forwards, not to the sides. Be aware of the lathe speed. It is easy to forget and turn on the lathe when it is set at high speed and the work mounted is meant to start at slow speed. I always start the lathe in a low speed ! When using the tailstock continually tighten it unless you have a lathe with a locking mechanism the grip can work loose. 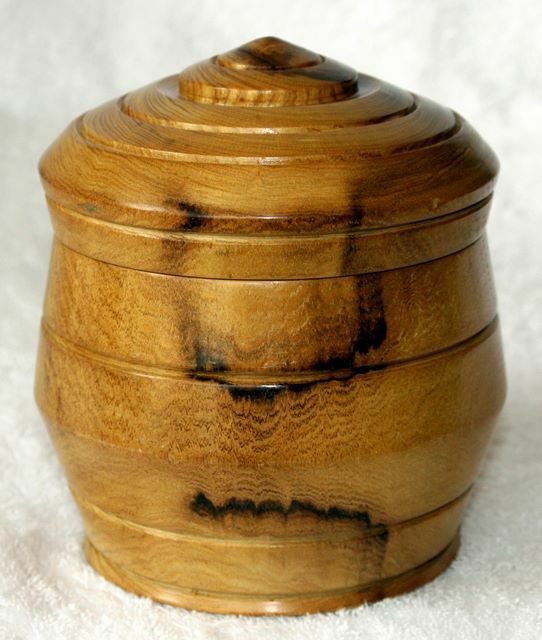 Designs, Shapes and Form: Woodturning transforms chunky wood into their artistic and usable forms. The process often includes the use of a lathe, which is a piece of stationary equipment that holds the wood or the work piece. It spins or turns while the wood is being shaped or crafted. 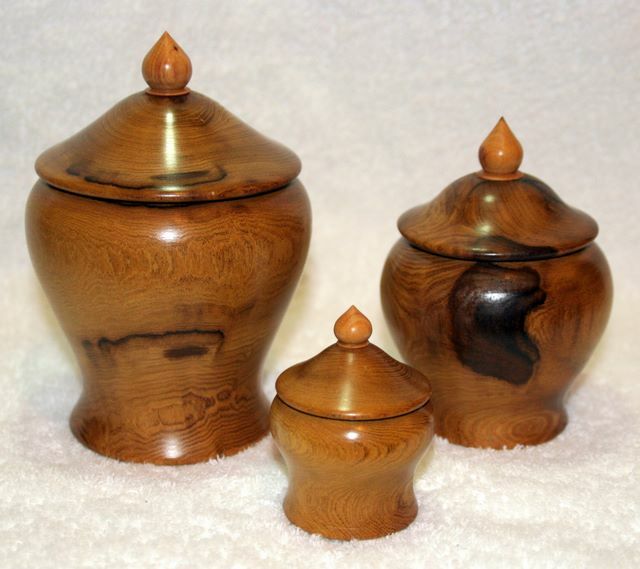 There are two methods in achieving artistry in wood spindle turning and faceplate turning. Both of them require coordination between the operator, tools and the lathe. In fact, the body should be positioned in a certain way in order to obtain the desired design. For instance, the feet have to be close to the lathe so every part of the wood can be accessed without leaning. Generally, woodturning requires bare or raw wood. These wooden chunks or pieces are commonly called woodturning blanks by woodworkers and craftsmen. There are different kinds of wood that can be used in woodworking and they usually come in various shapes and sizes. They can be made into goblets, bowls, pool cues, plates, baseball bats, pens, tops and other wooden articles. Typically, it is up to the woodworkers to use their imagination so that a piece of wood can be converted into its intended shape or form. It needs an accurate approximation, and proper usage of the tools. The woods most commonly used in woodturning include beech, cedar, ash, oak, birch, lime, apple, acacia, hornbeam, sycamore, maple, cherry, elm, London plane, spalted beech, yew, rippled sycamore, American walnut, mulberry, English walnut, pear, laburnum, apricot, myall, ironwood, lancewood, vine tree, and wilga. However, woodworkers usually prefer rare species of trees that often have rigid and well-structured fibres. Generally, there are standard cuts for woodturning blanks for specific designs, shapes and forms. However, there are stores that offer non-standard sizes, or sizes according to your customization. Also, make sure that the wood blanks are fully dried before buying or using them.